This post was supposed to go up last Thursday, but to make a long story short, blogger life got in the way. I'm sure at some point, I'll share all the ins and outs with you all, but there is a totally different side to being a blogger that folks don't talk about. But at any rate, forgive my lateness!!! 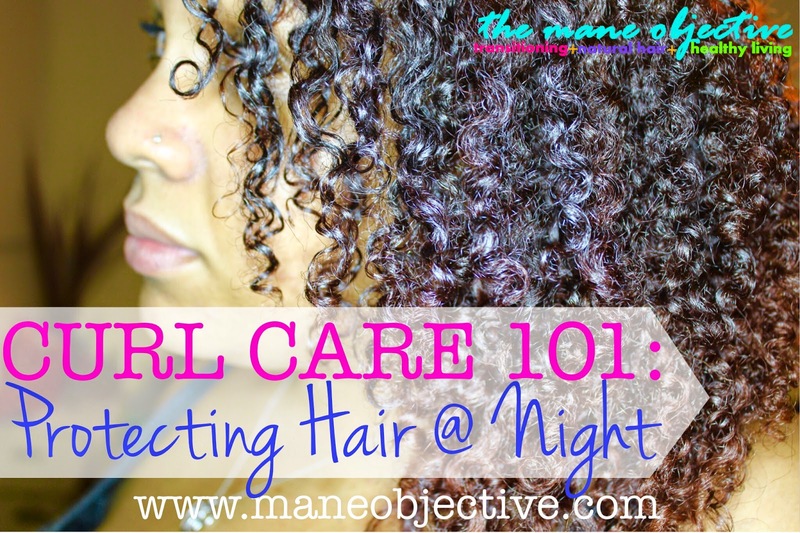 Anywho, let's get on with today's Curl Care 101 topic: protecting your natural hair at night. When I first set out to do this topic, I envisioned an accompanying "updated" nighttime routine video. I filmed it, then watched my original nighttime routine video, and realized that I do absolutely nothing different from December 2013. I mean sure, I may switch around what moisturizer I use, but I still use my q-redew, I still band the front because it's disrespectful, and I still scarf pineapple. Sidebar: I kinda miss my hair at that length. Some of you may be wondering, wait, what about that wig net doohickey? I still use that too. If I style my wash and go at night, or it's still too wet before bed, I use my pineapple wig net method and sleep on a satin pillowcase to ensure that my hair air dries while I sleep. Hair Length: Protecting hair at night is very different for shorter versus longer hair. Neck length hair needs to be worked with differently than armpit length. Styling Goals: Are you more concerned about completely covering your hair, preserving your style, getting bigger hair, retaining moisture, or convenience? That will weigh heavily into what you do with your hair before bed. Sleeping Preferences: What makes you the most comfortable at night? For shorter to medium length hair, protecting your hair at night is a matter of your styling goals and sleeping preferences. If you want to focus on maximizing moisture retention overnight, sleeping with a satin bonnet or a scarf with all of your hair tucked in is your best bet. To preserve a style and avoid that smooshed look in the morning, loose medium-sized twists or braids can help retain your definition. If you're trying to preserve a wash and go or get more elongated hair overnight, give some serious consideration to banding. You can band via the multi-pineapple method, like I do in my video, or like The Curly Scientist does here. Multi-pineappling will give you stretch at the root only, how I band at night gently stretches looser textures, and the last method of banding will give you stretch while helping you maintain more texture. Ultimately, what you decide among these options (or come up with on your own) will be reflective of your preferences, and how much you do before bedtime. Protecting medium to long hair at night also depends on styling goals and sleeping preferences. Again, moisture retention will lead ladies with longer hair to loosely bun and cover with a bonnet, or tuck pineapple "hangtime" into the scarf wrapped around the hair. To preserve a wash and go or stretched style, loosely twisted sections of hair pinned across the head can help preserve the pattern and provide gentle elongation. 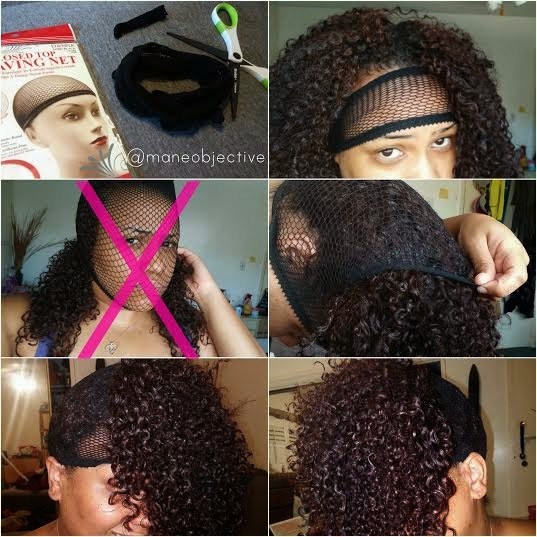 A classic, scarf, or wig net pineapple is also a fairly easy way to maintain curls and curly styles overnight. Again, what you decide among these options (or come up with on your own) will be reflective of your preferences, and how much you do before bedtime. If you're looking to preserve a stretched style or achieve more elongation as the days go on, be incredibly light-handed with water-based products for moisturizing (or hold off on them for 2-3 days after styling). This is why incorporating moisture into your regimen early on is so important -- if your hair is being properly hydrated on wash day, and your products are properly layered, your hair won't K.O. if it doesn't feel water in 2 days. If you must add moisture to your hair, I recommend aloe-based butter creams (like Inahsi Naturals Hair Whip and Kyra's Shea Medleys Original Butter Cream) that provide hydration and moisture with minimal reversion. Don't get so caught up in keeping your curls together that you neglect your edges. Click here to learn how to keep from getting your edges snatched on Thursdays...or any other day of the week. Although I mentioned various forms of twisting as a means of nighttime preservation, I do not wholly recommend nightly twisting or braiding. That's a lot of manipulation for your hair to endure on a nightly basis, and it can lead to premature cracking, thinning, and wearing of the cuticle -- which leads to breakage. 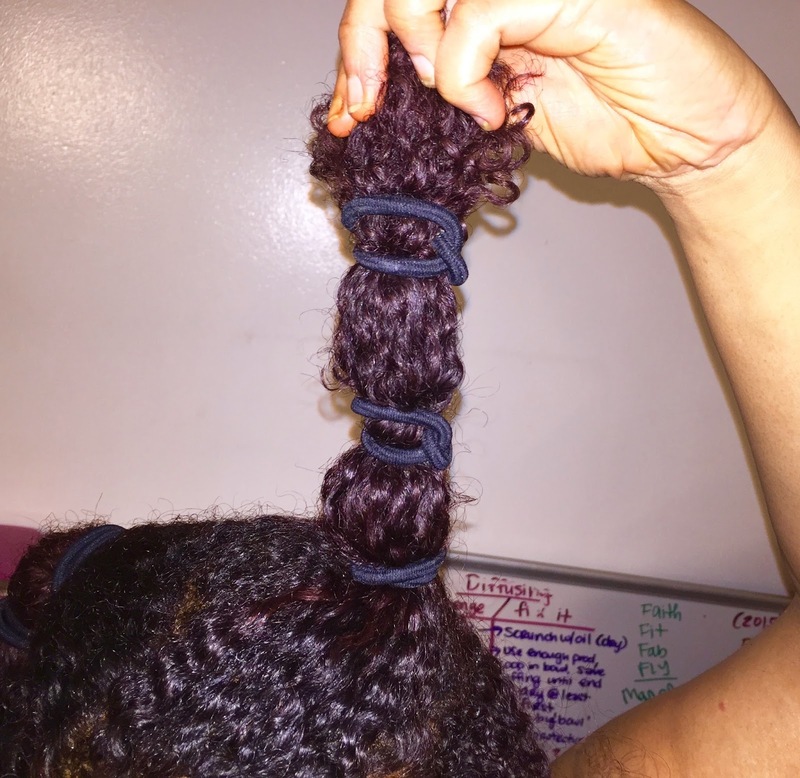 If you must twist or braid nightly, I recommend looser, chunkier twists and braids. The manipulation is less intense, which leads to less damage. Regardless of what method you use to preserve your style at night, I always recommend having a satin pillowcase on deck. I'm a wild sleeper, and can never guarantee that any scarf or bonnet will make it through the night. The satin pillowcase is pretty much my back-up plan. That's all for now, folks! Next week I'll be wrapping this thing on up with info about trimming, growth, length retention, and safely using heat! If you missed any Curl Care 101 posts, click here! Don't forget to follow me on Instagram @maneobjective, like The Mane Objective on Facebook, follow me on Pinterest, and of course, share this article with a curlfriend!